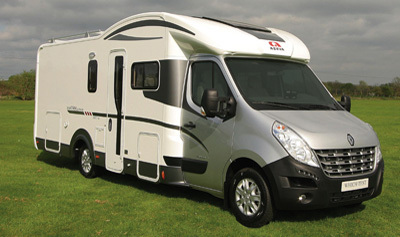 The new Adria Matrix Supreme motorhome is a handsome beast, as long as you like the ‘butch’ look of the new Renault Master it’s based on. The cab comes in white or silver, with a choice of black or colour-coded bumper. And while the roofline is taller than some low-profiles – to accommodate that bed – the drop-down bed is actually an option. If you do specify it, then it’s one of the best – electrically operated, it will stop in any position between the ceiling and its lowest point, and when stowed there’s 6ft headroom beneath. A super-sized rooflight over the bed and an overcab sunroof mean there should be no shortage of ventilation. What you won’t be able to sample at your local dealership is the superiority of Matrix Supreme’s Alde heating system. 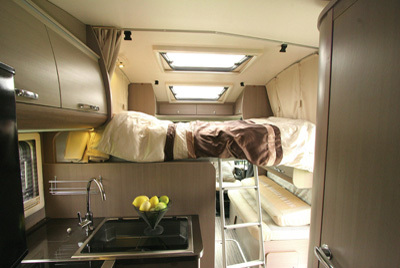 Operated on gas and mains, it offers up to 8kW of heating and includes underfloor heating throughout. Alde promise that their silent system avoids the cold neck issues of sitting by a window and the condensation problems that can go with traditional blown-air set-ups. 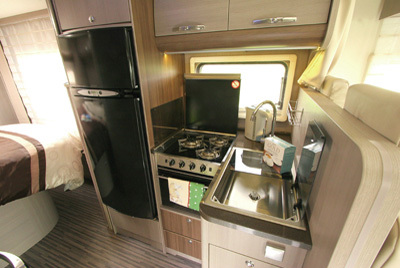 It certainly seems as if this is a motorhome for serious winter use, with heating under the cab seats and an optional heat exchanger to take heat from the engine to provide instant warmth and hot water when you stop. Matrix Supreme also comes with a choice of two layouts – fixed high-level single beds (SL), or a more unusual transverse island bed in the SC model. We’re big fans of this arrangement but the Adria needs a little fine-tuning – the blank rear wall makes the bedroom look bleak and the generous mattress length leaves insufficient space to squeeze around the end of the bed. In the morning you can, however, slide the bed back electrically to create a sort of double chaise-longue with a view out of the nearside picture window. Neat. It’s very comfy too. But a big bedroom and a big lounge mean the L-shaped kitchen is squeezed between the two. You get a smart modern cooker with oven/grill and a 149-litre SES fridge/freezer alongside but there’s precious little worktop. That situation improves slightly if you opt for the smaller sink that’s on offer. 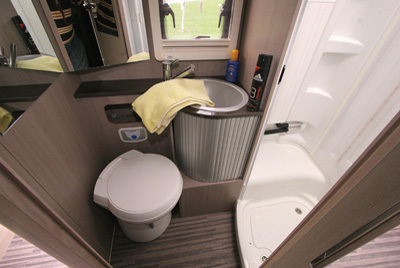 The washroom has a spacious separate shower, but despite three large mirrors, it seems to lack room around the loo and basin. There’s trendy bathroom LED lighting that can be changed to different colours. Other novelties (all optional) include cornering lights, LED running lights in the front bumper, and latest generation ESP, while an upgrade to 3880kg gross weight will probably be essential for most users. 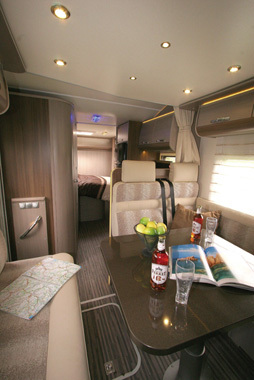 This motorhome is perfect for winter touring and has plenty of modern features that will impress gadget hungry buyers.